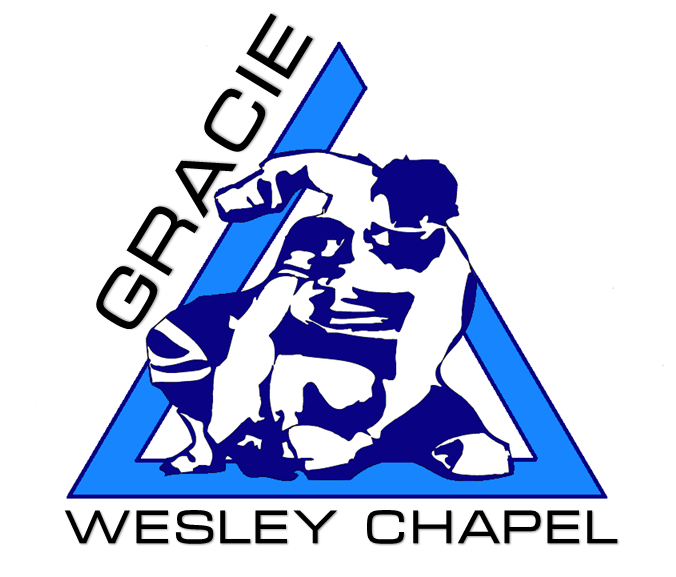 I love my Gracie Tampa family!!! We kicked it off by winning the Youth AND Adult Team Champion trophies at Newbreed. Our students had great outings and displayed beautiful Jiu Jitsu. I was proud to stand up there with my brothers from Gracie St Pete, Gracie Tampa South, Gracie Bradenton, Gracie Palm Harbor, and Gracie Spring Hill. It was an ALL DAY event, and I was tired. I couldn’t even stay up for the fight, not like I really cared for it too much anyway. I woke the following morning so we could do our Quarterly scrubbing of the mats. People told me white mats would be a PITA. They were right, but I don’t mind it. I was in the Navy for 10 years, I’m used to periodic maintenance. White mats look good. If I had darker mats where I couldn’t notice they needed scrubbing, they’d probably not get done lol. I am blessed with amazing students, 10 people showed up to help scrub the mats! Thanks to Azad, Bradley, Greg, Danielle, Nick, Mimi, Kai, and the kids for all the hard work. We finished off Sunday night with a dinner with our Professor, Rob Kahn, at Charley’s Steakhouse. Funny story, HobbyK calls me Thursday to discuss some things. 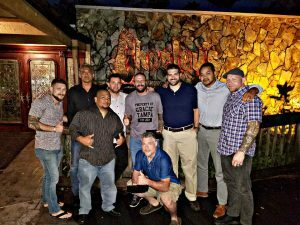 He then brings up getting the 2017 Blackbelts together to have dinner, just the guys. 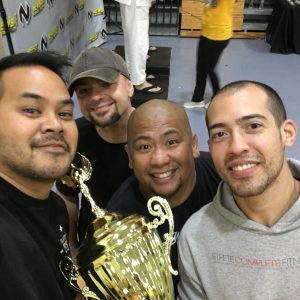 I told him I’d hit up all the guys organize things, but in the back of my mind I was thinking, “Is Hobby ok?” I shot a message out to the guys and I get a call from Sonny Parlin, Owner/Head Instructor at Gracie Bradenton. The first words out of his mouth were, “Are you joking? Rob said that?” Hobby always gave us tough love coming up, and he’s a busy guy so this seemed kinda weird lol. 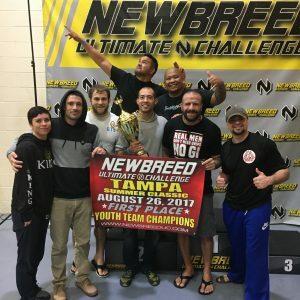 I mentioned it to one of the other blackbelts, Gabe Maldonado(Gracie St Pete), and he said, “Yo, weird bro. I called Rob the other day and he picked up right away.” lol Our suspicions were going crazy. Some guys were saying, what if he is gonna drop a bomb on us that he’s retiring and moving back to NY lol. I was thinking ole HobbyK is just getting old and maybe wanted to start a new tradition. Whatever it may be, it was an amazing dinner with my brothers. We got the usually awesome HobbyK stories, mixed in with each of our own. Reminiscing of old skool GT days. We ragged on Sonny for his foo-foo drink lmao. Talking about gym stories, now that some of us have gone on to open our own academies. I laughed so f*ckin hard my sides hurt. We finally brought up how “weird” it was for HobbyK to want to do this dinner. His answer was, “I know everyone is going to go their separate ways after the ceremony on Sunday, so I wanted to get together, just me and the guys and hangout.” This was the first time he’d done this, and I feel honored to be part of it. As I looked around the room, I know each and every one of the guys worked their asses off training for the better part of a decade to be receiving their black belts this year. I know the future classes will really enjoy their dinners with HobbyK, I’m going to try and sneak my way into all the future ones cause it was awesome. Such an awesome brotherhood. Not gonna lie, I’m so f*ckin nervous for Sunday. But once it’s over, I will proudly be able to call myself a Rob Kahn black belt. Congrats c/o 2017: Sonny Parlin, Jeff Morris, Eric Callueng, Josh Couture, Broc Hooten, Gino Genovesi, and Wally Lum. Brothers for life.